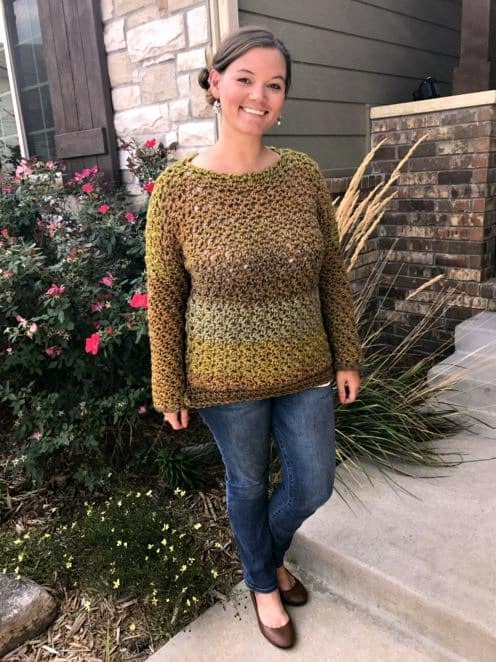 If you have a person in your life that loves to crochet, I would like to first thank you for not only thinking of them and their hobby, but also for seeking out the perfect gift on their behalf. As an avid crocheter and fiber enthusiast myself, I would also like to offer you some guidance with this list of Gift Ideas for Crocheters! 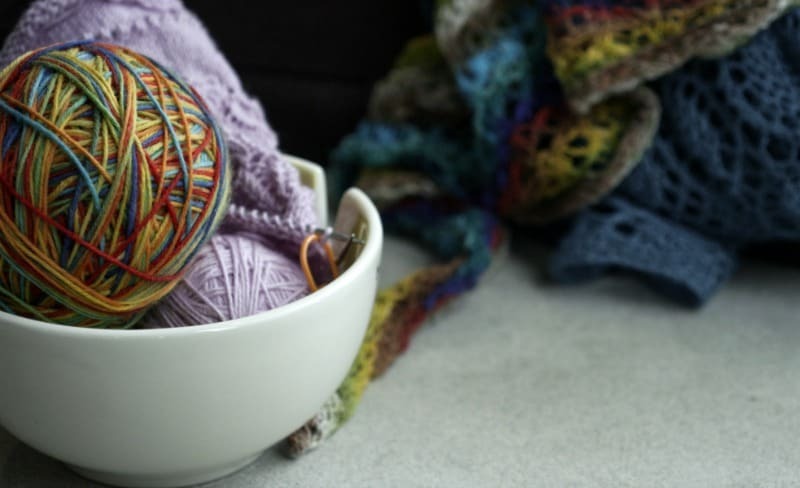 The question we must first ask ourselves is “What does every crochet and yarn lover want?” because let’s be honest: all a crocheter needs is a hook and some yarn. This list of gift ideas for crocheters contains things a crocheter wouldn’t always think to purchase for themselves. 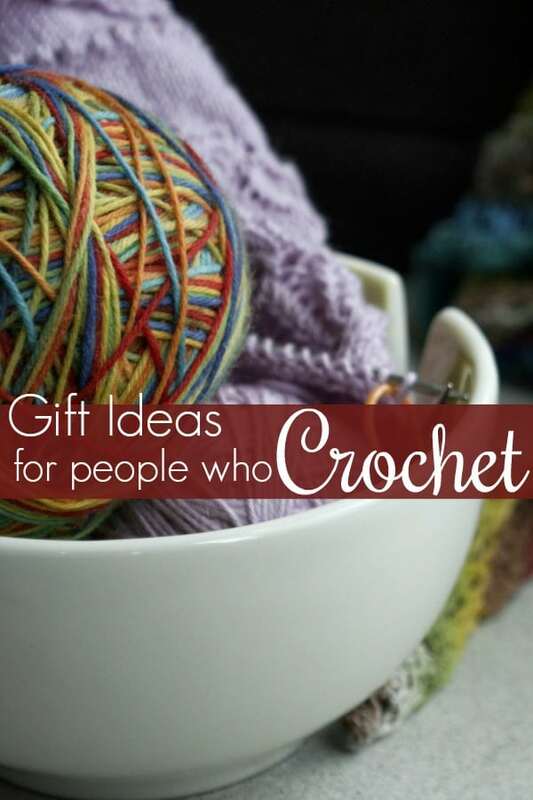 Sure, some of these ideas may seem a bit frivolous but, as the recipient of some of these gifts myself, I promise you that a well-thought-out (even if seemingly frivolous) crochet gift is my absolute favorite; an indulgence! By gifting such an item to the crochet lover in your life, it shows that you are not only paying attention to their hobby, but that you know his or her favorite color (or can ask nonchalantly), that you are supportive of their efforts, and that you want to see them happy. Is there a better gift?! I think not! When I first learned to crochet, my sister bought me a subscription to Crochet! Magazine. I so looked forward to receiving that physical magazine in the mail. 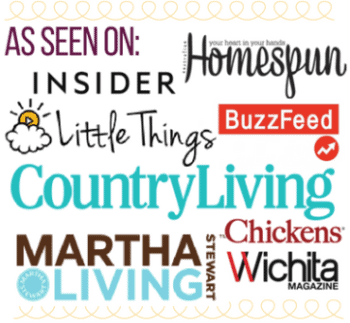 Two of the most popular crochet magazines are Crochet! Magazine and Crochet World. I enjoy the former, but both are great! To be clear: yes, yarn bowls can be considered a frivolous crochet item and no, it is not necessary to own one. However, nothing says “I see you and appreciate you” than a fancy yarn bowl in their favorite color. You do not have to purchase one with holes (like this). Some crocheters use them to feed separate yarn through while they work, others like them for their decorative value. I personally only use the slot as a guide, but of course that preference will vary by the user. Just pick one that’s pretty! 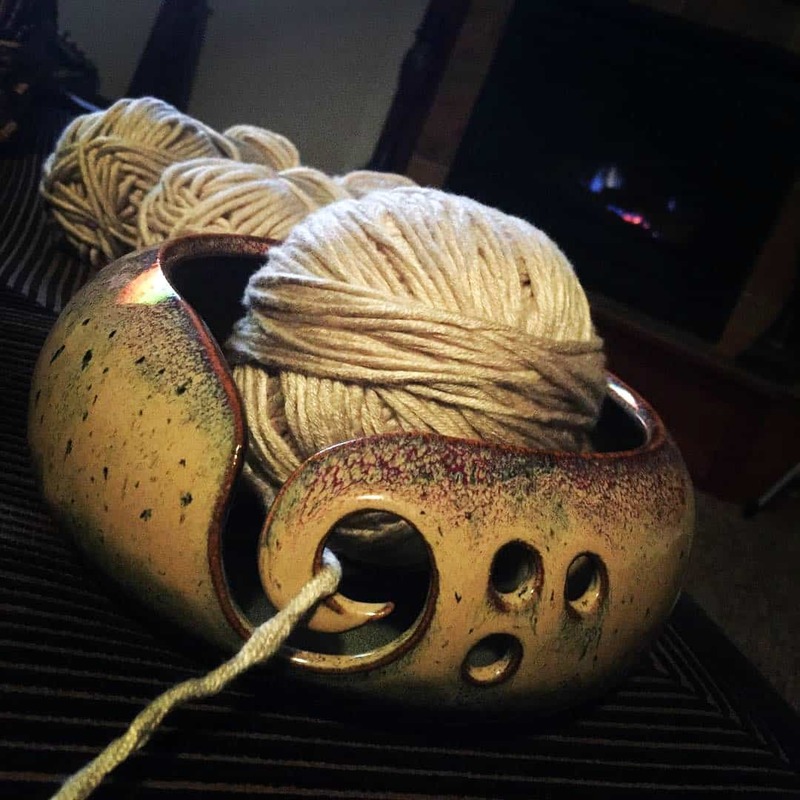 Choose a larger yarn bowl if given the option. Bigger doesn’t always mean better, but in this case it kinda does. As an avid reader, I must include an audio book subscription in this list of gift ideas for crocheters. There is a well known “thing” in the fiber community about how we can “watch” an entire season of a show and not know what any of the characters look like. That’s because we are looking at our hands the entire time! As such I much prefer to listen to a good book while I crochet. There are numerous audio book platforms such as Audiobooks, Audible, and Scribd. Scribd is the best value as they offer unlimited listening, but I like Audiobooks and Audible because I know that I will always be able to find new releases. (Yes, I subscribe to all three.) Read more about audio books here. Yarn winders are another somewhat frivolous crochet item. Depending on what type of yarn they use most often, it may not get a lot of use. But if they’ve been talking about making a yarn wall, or how unorganized their stash is lately, this would be a much appreciated, thoughtful gift. The Stanwood is my personal favorite, but here’s an entire article about different levels and price points of yarn winders. I hesitate to assert myself as a hook authority, but I’ve also been around the block so I will say that I have not heard bad reviews regarding Clover Amour crochet hooks. The Clover brand of crochet implements rank among the best, and I personally own the Soft Touch hook set. I will not use any other hooks if I can help it. The main difference between these two is the length of the handle. The Soft Touch line has a shorter handle but the hook shaft glides so smoothly through the stitches I swear I can crochet twice as fast. Of course gift cards to big box craft stores such as Michaels, Joann, and Hobby Lobby are always appreciated, but what about a gift card to your local yarn shop? A crocheter sometimes feels guilty buying the more expensive “fancy” yarn (at least I do! ), so take that guilt away and let them pick out some fancy schmancy yarn guilt-free! One thing all crocheters need is to stay hydrated while they work. If he or she loves cold beverages, get a large insulated cup, and if he or she loves hot coffee, get a large yarn related coffee mug! I’m envisioning a gift card tucked inside… maybe a custom crochet hook… oh, the possibilities! A Crochet stitch dictionary is a great tool for any crocheter to have at their disposal and there are oodles to choose from. This is a great, inexpensive and indispensable gift! I check my stitch dictionaries for new stitches to get those creative wheels turning. There is always something to learn in crochet! Being able to move your entire project (whether that’s from the living room to the bedroom or if taking on a road trip) a portable yarn organizer makes this so much more efficient. I currently use one of our Crochet Power canvas totes, but the commercially available organizers have more compartments and holes through which to feed the yarn. Pretty snazzy! These yarn cutters are functional, you never lose your scissors, and, if I’m being honest, are kinda stylish! If you are a crocheter, I’m sure you’ve got some ideas of things to add to this list. What is your most valued crochet gift you’ve ever received? I am from the Wichita are. Are there any independent yarn stores left in the area? Hi Jody! There's not any that I know of in Wichita. However, there is Creation Station in Newton and IYarn in Winfield.